Machine learning and artificial intelligence have remained buzzwords for quite a while now, and it looks like the hype will continue until they become public-wide infrastructure—much in the same way electricity did. Like electricity, machine learning (ML) and artificial intelligence (AI) are a revolution of productive powers. By understanding them, investors and business owners can explore how these technologies can upgrade their organisations. The fact that a machine can determine whether a photo contains a cat or not isn’t due to its understanding of feline anatomy, but is because of its training history of identifying tens of thousands of cat photos. The computer’s judgement is really based on the colours and positions of the pixels. Essentially, machine learning handles two things: prediction and inference. Prediction finds any correlations, and inference discovers causality. 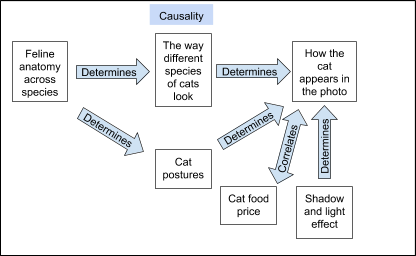 When enough correlated factors are eliminated, causal factors remain. This explains ML’s wild popularity—it doesn’t require intensive expert inputs, making it a cheap alternative for complicated problems. A model is trained by repeatedly showing the machine the input data (i.e. cat and non-cat photos) and output data (i.e. labels saying “this is a cat” or “this is not a cat”). Recall the equation of velocity: vt=v0+at2. If we’re to train a model that predicts the velocity of a car given its initial velocity, acceleration rate, and time, the model is exactly that—the equation describes how variables are put together. Like physicists finding equations for natural phenomena, machine learning scientists are finding equations for everything with enough data. Want to find out the equation for monthly sales income given the competitor’s product prices? Start collecting data! Once we have our equation we can feed it new data sets, like cat photos it’s never seen before. By feeding the datasets into the equation, we receive the results of the calculation, i.e., “this is a cat”. This feeding and receiving process is essentially prediction and inference. There are plenty of use cases for this kind of tech in education. You could use prediction to forecast student statistics, or use inference to determine the contributors to student performance. Machine learning is a relatively cheap, fast, and promising technology, and entrepreneurs should certainly look very carefully at how it may benefit their businesses.